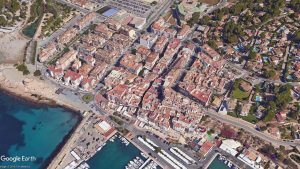 Bertomeu Lawyers is a local Spanish Lawyers Firm founded in 1990 by two brothers, Juan Bertomeu and Antonio Bertomeu, with the main office in Moraira and two delegations in Denia, Alicante North. We have attended more than 4000 clients in their purchase, sale or inheritance process, and most of them or their descendants remain with us to be their legal advisers. We have a vast experience and speak perfect Spanish, English and German. We consider ourselves good professionals, understanding our dedication as a privilege. After so long, we keep centred on the client’s interest, treating everyone that comes to us with respect, full attention, and always personally, without intermediaries. Our clients come from most of the European countries, mainly Spain, United Kingdom, Germany, Switzerland, Sweden, Norway, France, Holland and Belgium. We serve European Residents and Non-Residents in all the territory of Alicante, Valencia, and Ibiza, but centred first and foremost in the property market of Moraira, Benitachell, Javea, Denia, Oliva, Gandia, Teulada, Benissa, Calpe, Altea, and Benidorm. We are born and grown up here, therefore we have an exceptional local and regional comprehension. We have superb working relationships with Town Councils, Notaries, Lawyers, Accountants, Insurance Brokers, Estate Agents and Banks.